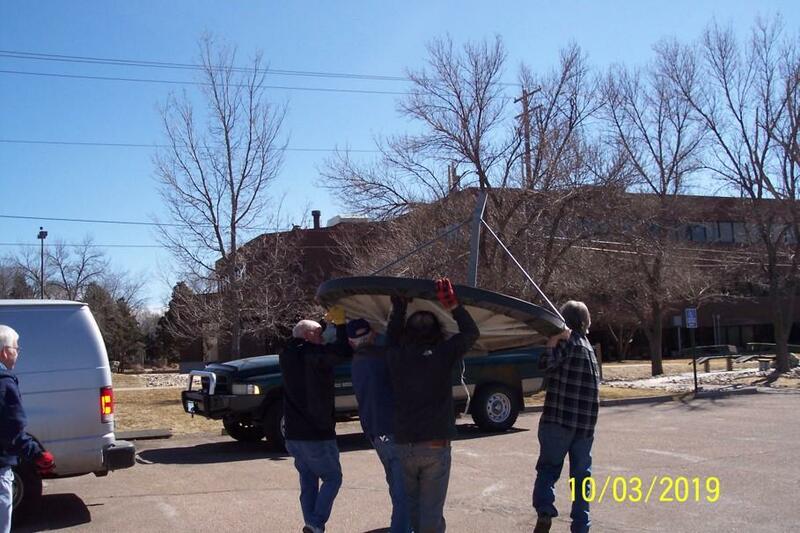 On Sunday March 9, 2019 a group of Deep Space Exploration Society members in Colorado Springs salvaged a 2 meter diameter satellite dish antenna, to repurpose it for solar radio astronomy. 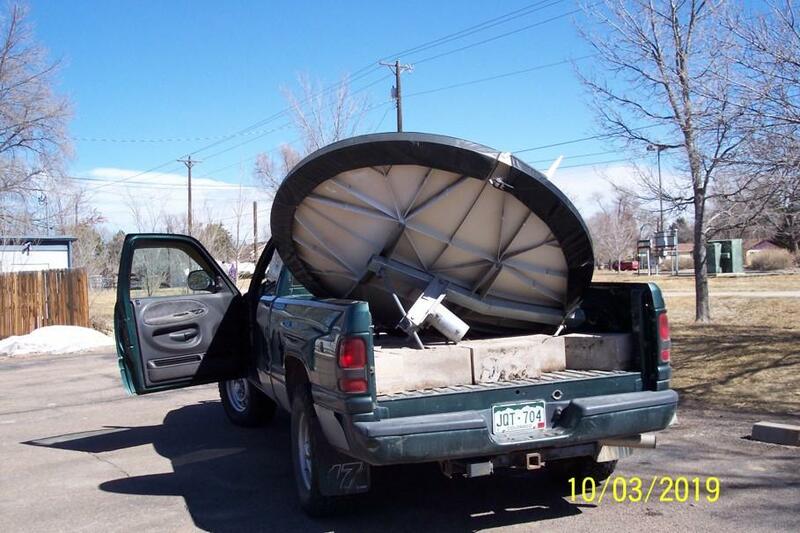 The antenna came from the KCME commercial broadcast station, which was no longer using it. 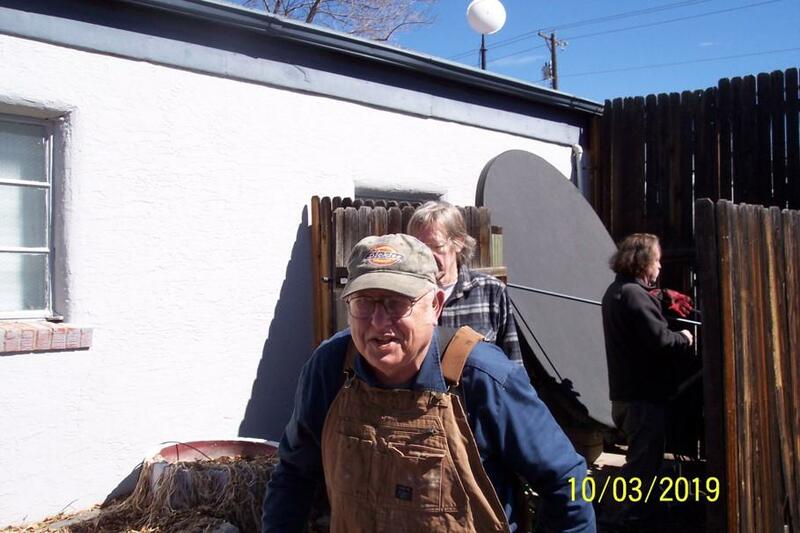 The group moved the antenna to the home of DSES member Floyd Glick. 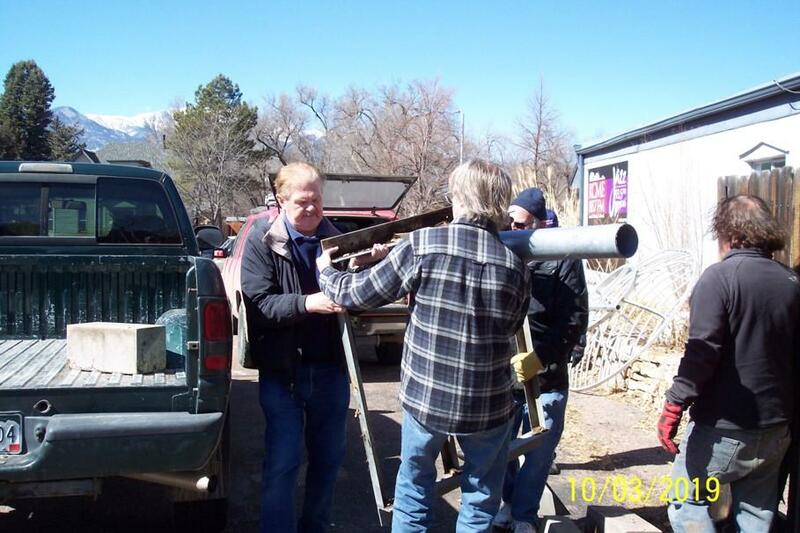 Floyd will configure and test it there, to use for solar radio astronomy. 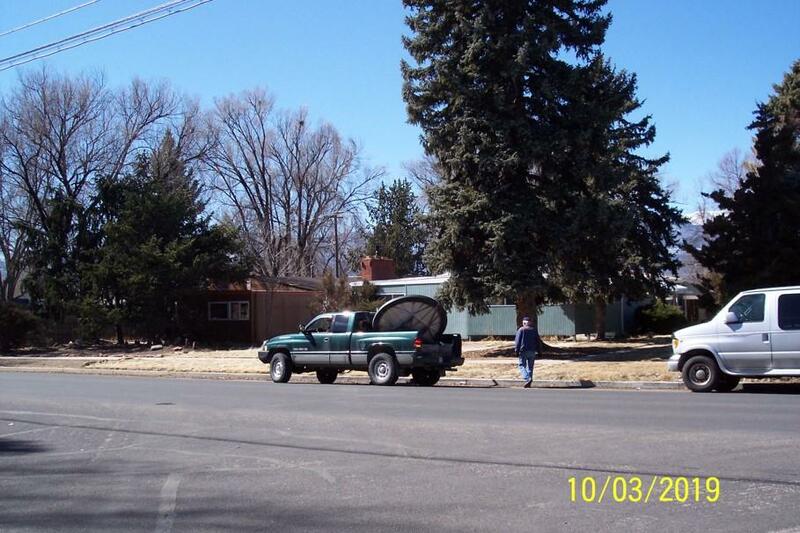 It will then eventually be moved to the group’s Plishner antenna site in Kiowa County. The DSES members who participated were Steve Plock, Ed Corn, Floyd Glick, Myron Babcock, Bill Miller, Bob Haggard, and Gary Agranat. 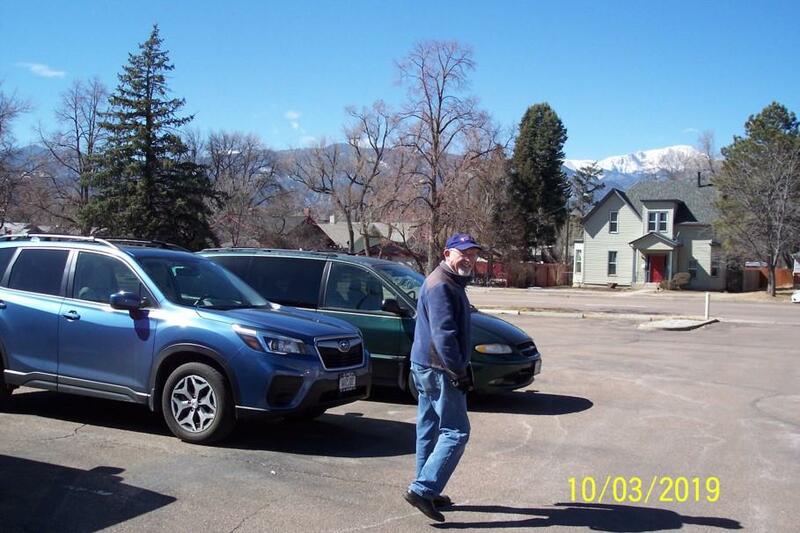 Here are some photos from the move, taken by Bob Haggard, and one photo by Gary Agranat. 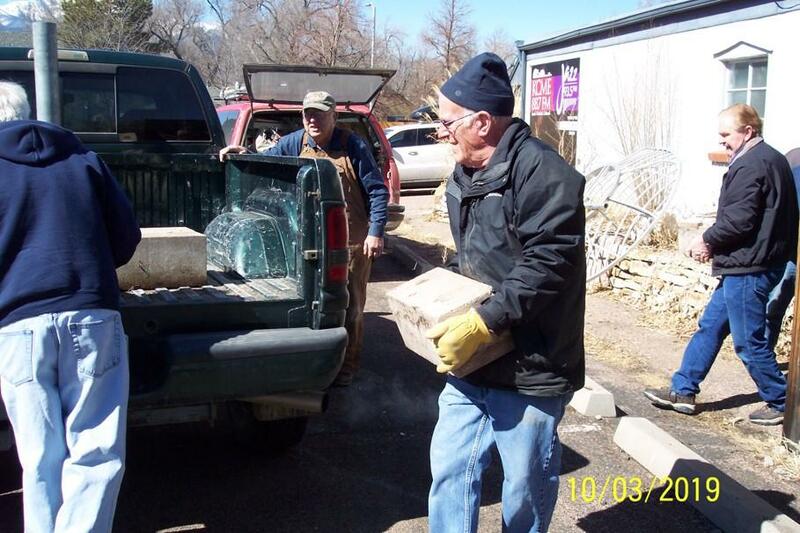 Ed Corn, Floyd Glick, and Steve Plock. 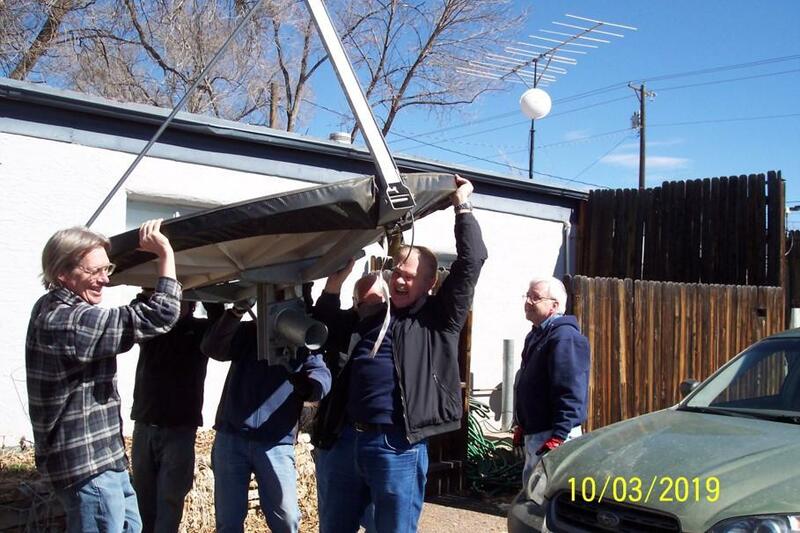 Floyd Glick, Myron Babcock, Steve Plock, Ray Uberecken, and Bill Miller moving the dish antenna from its original location. 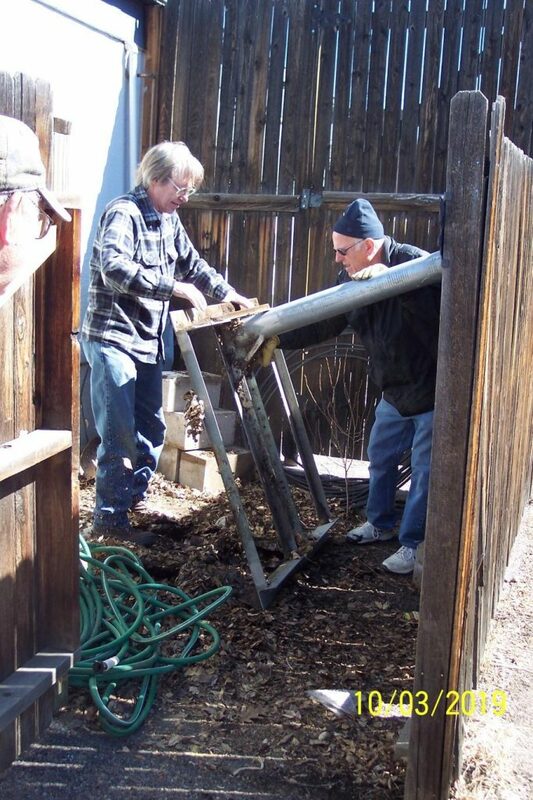 Floyd Glick and Ray Uberecken moving the antenna pedastal. 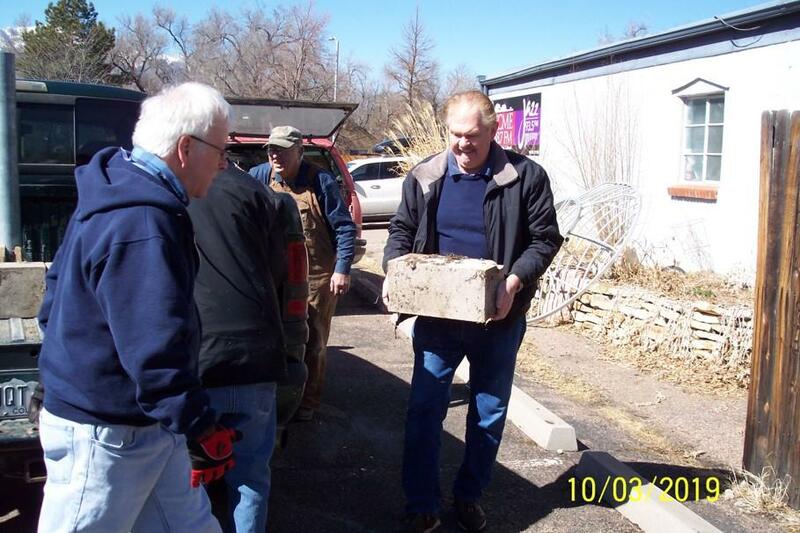 It was secured by several concrete blocks. 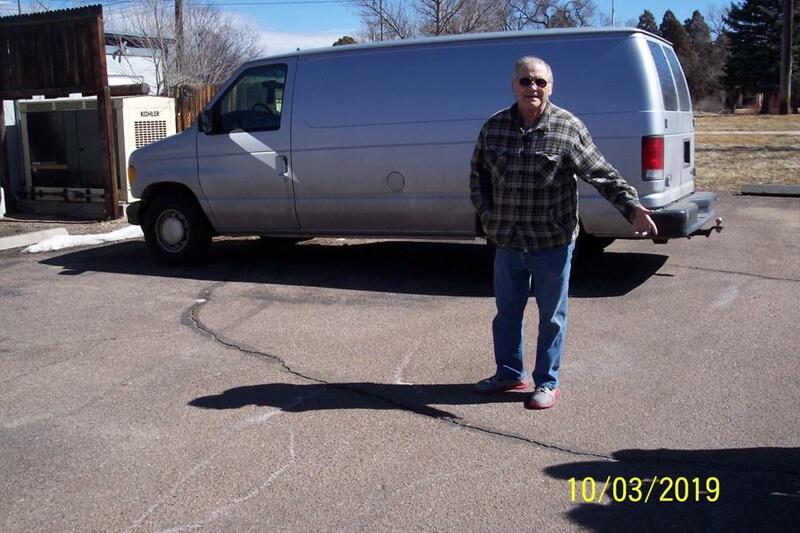 Ray Uberecken. The concrete blocks stabilize the pedestal. 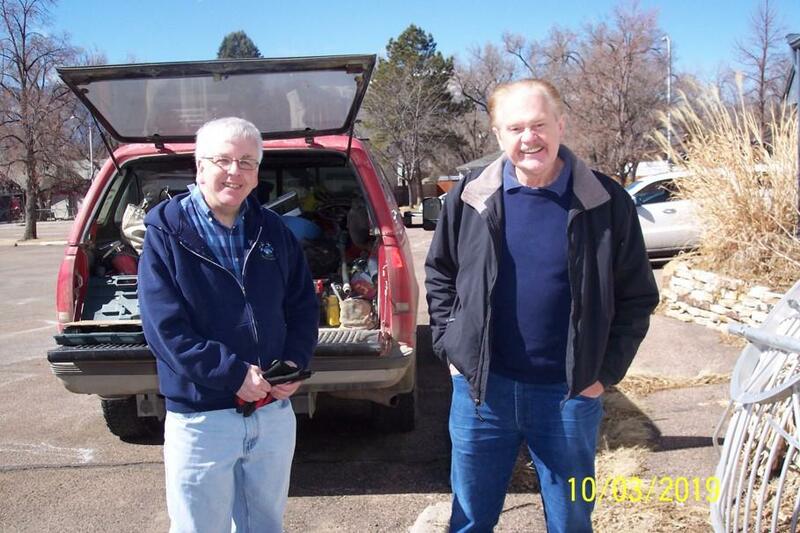 Gary Agranat and Bill Miller. 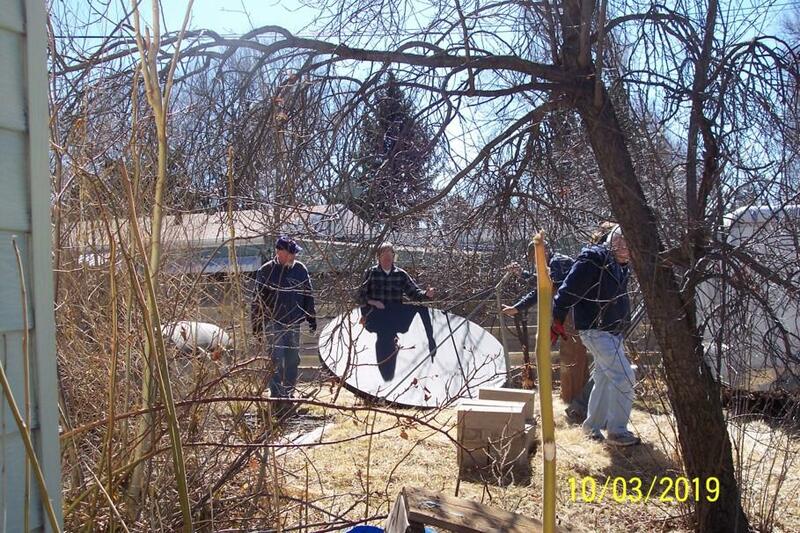 Placing the dish temporarily in Floyd’s yard.